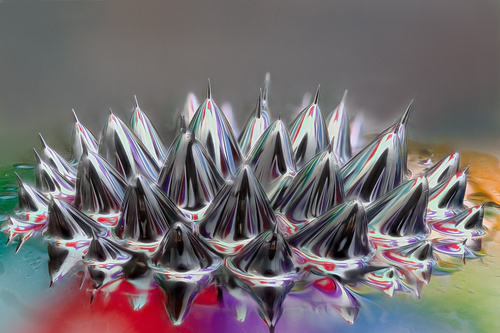 This is a macro photo of ferrofluid (a liquid made from nanoscale ferromagnetic particles, which can turn magnetized very quickly), shot while it’s in the presence of magnets. Photographer Linden Gledhill has been exploring this extreme photography using 1.5x magnification and a StackShot automated macro rail. Do check out the rest of Linden’s photography on his Flickr page.